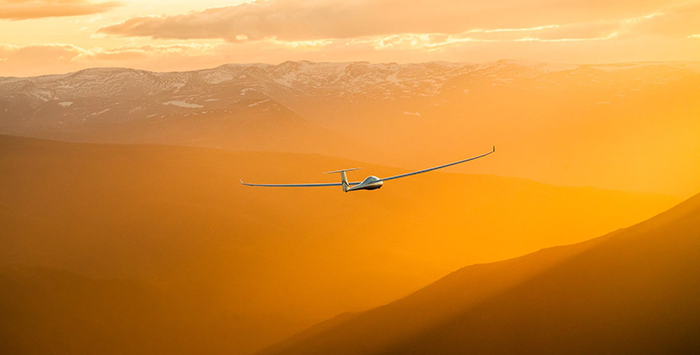 We believe gliding - flying without an engine - is something that every person should do at least once in their lifetime. Gliders fly using rising air from a number of sources. One of these is ridge lift - when air blows against a slope, it is pushed upwards. In hilly and mountainous countryside, a glider can stay airborne for as long as the wind blows, by flying along the edge of the mountains. One of the most exciting ways to glide is using wave lift. When air blows up and over a hill or mountain and sinks down the other side, a wave-like motion is created. Under certain conditions, these waves continue for hundreds of kilometres downwind of the hill or mountain, and to heights many, many times greater than the original hill or mountain that 'created' the momentum of the wave. 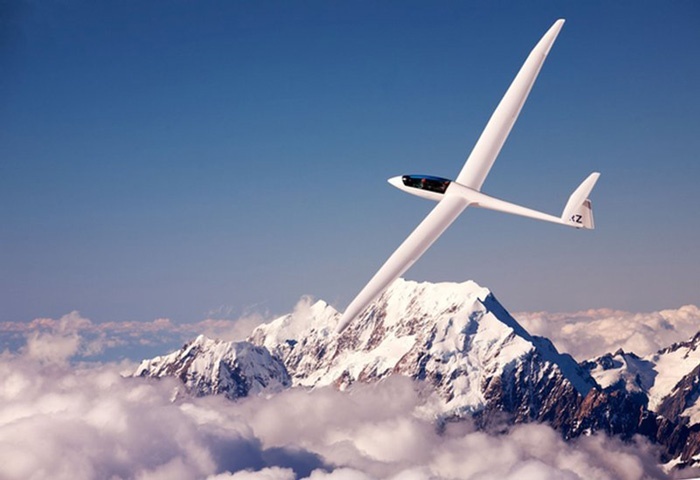 Glider pilots use these waves to climb to the highest heights, riding the waves to soar above the clouds. Nothing compares to the sensation of soaring, high above the clouds, riding on currents of rising air - just as birds do. The silence, the sense of freedom, the utterly exhilarating views... the feeling is God-like. 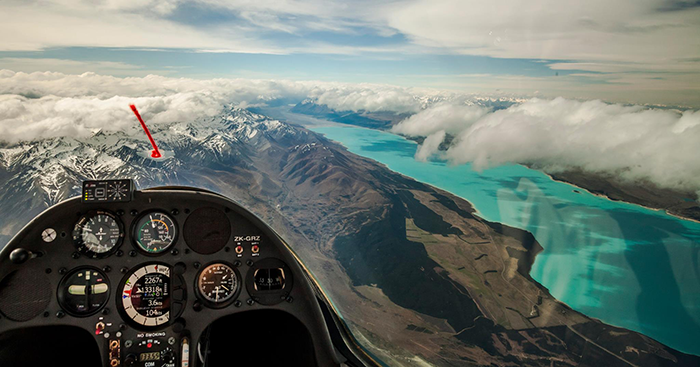 The South Island of New Zealand is known in aviation circles as one of the finest places on earth for gliding, thanks in large part to the towering Southern Alps. The landscape here produces epic ridge, thermal and convergence riding. 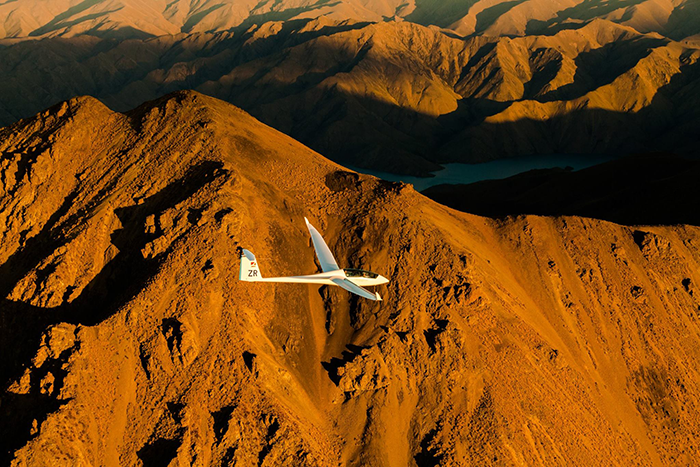 Omarama, particularly, is considered to be the best mountain soaring site in the world - a place famous for its gigantic atmospheric waves, on which experienced sailplane pilots can surf and play. Take the opportunity to soar over the spectacular mountains of the Southern Alps, seeing ancient glaciers, iridescent lakes, and tributaries that weave like sparkling threads through lush valleys. Take a sunset flight and see the majesty of this landscape bathed in golden light. Gliding can be as peaceful or as exciting as you want it to be - float silently over the land, admiring Mother Nature in all her glory, or see how the pilots here have earned an international gliding reputation with some aerobatics! At Glide Omarama, you can even take the controls yourself, guiding your high-performance sailplane, with one of the world's most experienced mountain flying instructors as your co-pilot. 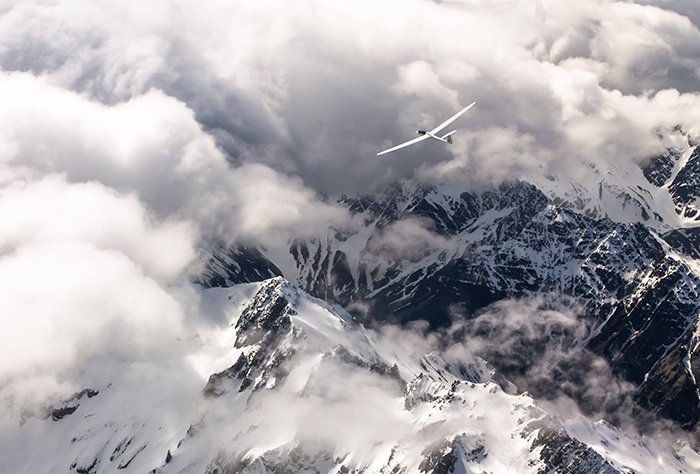 There are many other phenomenal gliding destinations around New Zealand - tell us where in this fabulous country you'd like to visit or what else you'd like to experience on your holiday, and we can curate a dream itinerary that includes the thrill of gliding. Ready to start planning the vacation of a lifetime? Contact our team - we are Singapore's leading New Zealand travel specialists.